Reproduction Sopwith Snipe 7F.1. Powered by a Bentley B.R.2 rotary engine. The Vintage Aviator Ltd has reproduced a limited number of Sopwith Snipe aircraft to a level of detail rarely seen before including reverse engineered Bentley B.R.2 rotary engine. The Bentley B.R.2 was the last type of rotary engine to be used by the RAF and is considered to be the peak of rotary engine development. Unlike many other rotary engines, the Bentley B.R.2 engine is fitted with a carburetor, enabling the pilot to have responsive control over the engine. The B.R.2 also boasts dual Avia magnetos this was uncommon on aircraft of this era. Designed to replace the Camel, the Sopwith Snipe was a more maneuverable and all around easier to handle aircraft with vastly improved visibility from the cockpit, it has a maximum speed of 121 mph at 10,000 ft with an endurance of three hours. 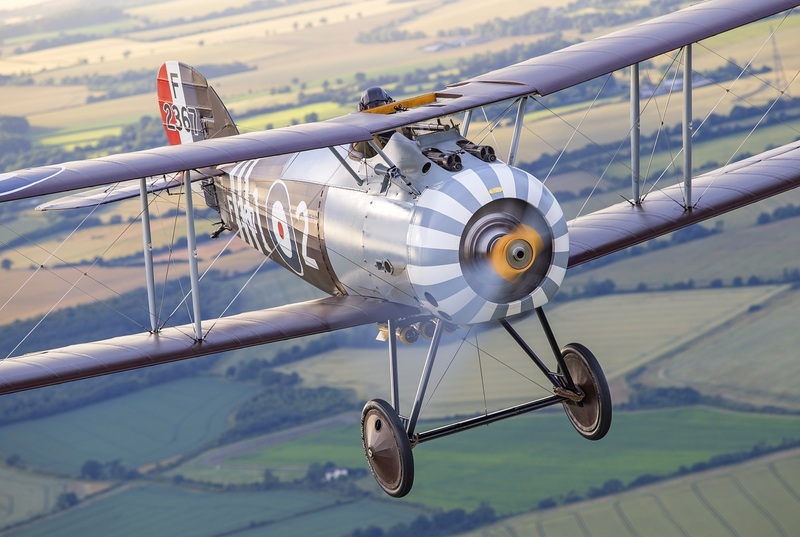 This example is an exact reconstruction of Sopwith Snipe F2367 and is in No.70 Squadron B colours RAF as F2367 which was on occupational duties in Germany immediately post-war. This aircraft is currently located in New Zealand but is registered as G-CKBB on the United Kingdom CAA aircraft register. Photos of this beautiful plane in the air. Close up images from every angle. 046 - Sopwith Triplane maybe with Hisso engine.